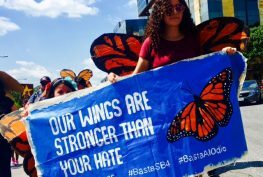 Basta Texas - Stop SB4! 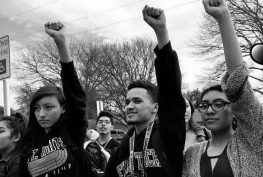 Join the fight against racism and hate in Texas! Join us in a boycott of all Huffines Auto dealerships. Calling artists to resist hate through the power of art and culture with two contests and grant opportunities. 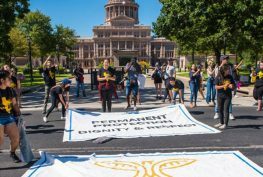 Basta Texas is fighting back against a law that that makes being undocumented and brown a crime. On May 7, 2017, Texas Governor Greg Abbott signed SB4 into law. SB4 is a law that is rooted in white supremacy, and those who support SB4 seek to gain political power by scapegoating immigrants and people color and fomenting hate against our communities. We believe that all Texans deserve to live free from racial profiling, free from the fear of deportation, free from detention and free from police violence. 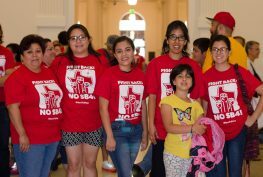 We are the majority in Texas, and we are going to rally, strike and resist to put an end to SB4.